More than a decade ago, Disney and Walden Media decided to take on the project of adapting C.S. 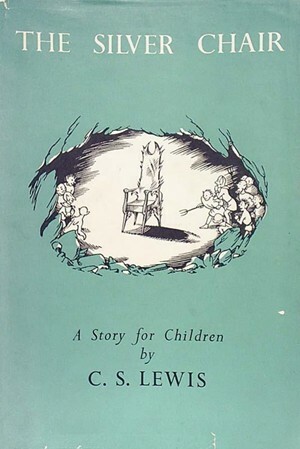 Lewis' beloved novel The Lion, the Witch and the Wardrobe into a live-action film. After its successful release in 2005, it was followed by Prince Caspian and The Voyage of the Dawn Treader. But after that, news on further movies came to a stop... that is, until this week when it was announced that The Silver Chair has both distributors and producers. According to glumPuddle on NarniaWeb.com, here's what this means: "The Silver Chair has financing and distribution, which significantly increases its chances of being made. But there is still no release date or director at this time." Though we don't have a concrete release date, we're still one step closer to seeing The Silver Chair on the big screen. I've joined together with Jaime Heller and Anna Gensimore to list off what we can't wait to see when The Silver Chair makes its film debut. Ever since The Voyage of the Dawn Treader was released in theaters, I heard rumor after rumor that The Silver Chair--or possibly The Magician's Nephew--would be adapted as well. But it never happened. Nothing moved forward, the contract with Walden Media expired, and the actors moved on to other projects. As a Narnia fangirl--Narnia being my first fandom--I was disappointed. I didn't want to hope they would make a decision. I had resigned that in another twenty or so years, they might reboot the whole series and start over with The Lion, the Witch and the Wardrobe again. So when I heard they were moving forward with The Silver Chair, I wasn't sure what to think. I was excited, but I knew that this film wouldn't be the same as the others. Will Poulter is too old to play Eustace Clarence Scrubbs (and he almost deserved it). Other actors have moved on, and a smaller film studio like Tri-Star can't possibly have a budget to bring back some of the bigger named actors. The discussion has turned to rebooting with this film, starting over with a new cast. While I understand this is necessary, I have a few hopes for the film. First, I obviously want them to bring back Liam Neeson for Aslan. If they plan to make the fourth (or sixth, depending on how you see it) book into a film, it has to connect with the other three even if they were made by other studios. They were able to transition from Disney to Fox easily for The Voyage of the Dawn Treader, but this could be completely different entirely. Yet having Aslan as the consistent point in the series would make the most sense. Also, Liam Neeson's voice fits so well as Aslan that I can't imagine anybody else in the part. Second, I would love them to bring back Ben Barnes as King Caspian. Now you may think this is a bit odd if you know anything about The Silver Chair because King Caspian is old and near the end of his life in the book. But I always hoped they would keep Ben Barnes in the role but make him look older. I think he deserves it since he made me love Caspian in a way no other actor could. This also would help connect the films together and bring Caspian's story to a fitting end. Third, I hope they stay true to the book. There are a lot of interesting things that happen in this story from the owl parliment to Puddleglum to even the underground world. I want to see the struggles and the sense of adventure Narnia is known for. I don't want them to take things out that are important or skip over parts of the tale to move the story along. I want it all. Basically, I will take anything about the Narnia franchise at this point. I've been waiting too long to see The Magician's Nephew or The Last Battle come to life as it should be to give up hope that we will get those movies someday. The Silver Chair adaptation is the first step toward that magic coming true. After The Voyage of the Dawn Treader, I had resigned myself to the bitter fate of No More Narnia Movies. But deep down, I don't think that spark of hope and desire could ever die. 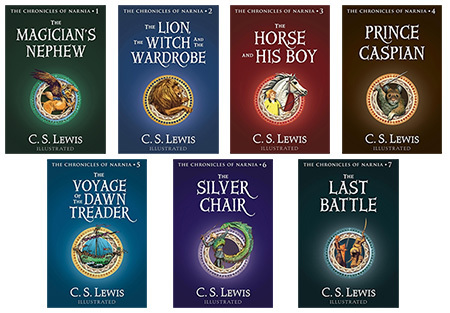 So that's why I'm absolutely thrilled that we're one step closer to getting an adaptation of The Silver Chair, which was my favorite Narnia book for a long time. A lot has changed in the Narnia universe, so it's possible we'll get a whole new cast. As much as I would like it to continue where Dawn Treader left off, I'm not sure that's realistic. In light of that, I only have a few simple requests! I would really love to see Ben Barnes return as Caspian. I would also like Liam Neeson to return, since he'll always be Aslan to me. I would desperately love Will Poulter to return as Eustace, but I'm pretty sure he's aged out of the role. However, I'm sure they can find perfect people to play Eustace and Jill. (I was convinced I would play Jill Pole in the film adaptation someday, which is half the reason why The Silver Chair was my favorite.) Maybe we could also bring back Tom Baker as Puddleglum? Honestly, Narnia was my first fandom and my one true love, so I'm a big bundle of feelings, and I don't even know what I want. All I can say is this: my main hope is that The Silver Chair feels like Narnia: magical, youthful, and infused with eternal hope. That's the Narnia I'll always come back to, the Narnia I'll always be waiting for, and the Narnia I'll always love. And I can't wait for The Silver Chair. I can't wait to come home. What do you hope to see in The Silver Chair?